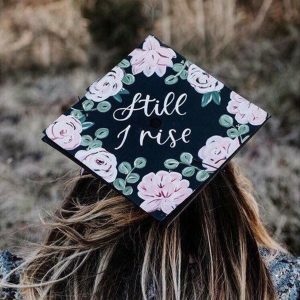 Graduation is right around the corner, and if you need some help creating the perfect grad cap, then we can help! 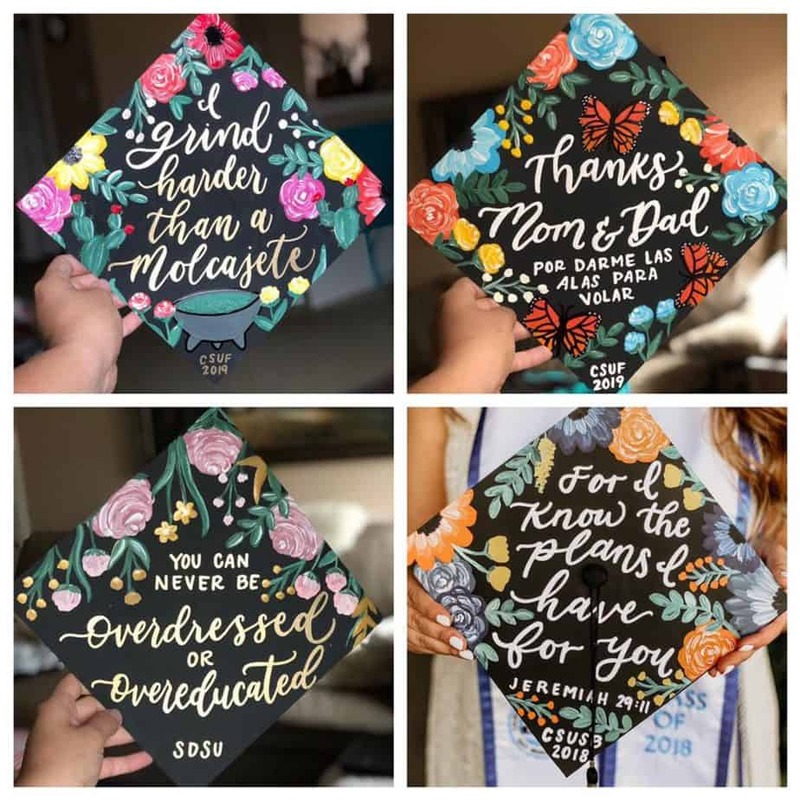 Decorating your graduation cap is a lot of fun, plus, it will help your family or supporters spot you in the sea of graduates on the big day. 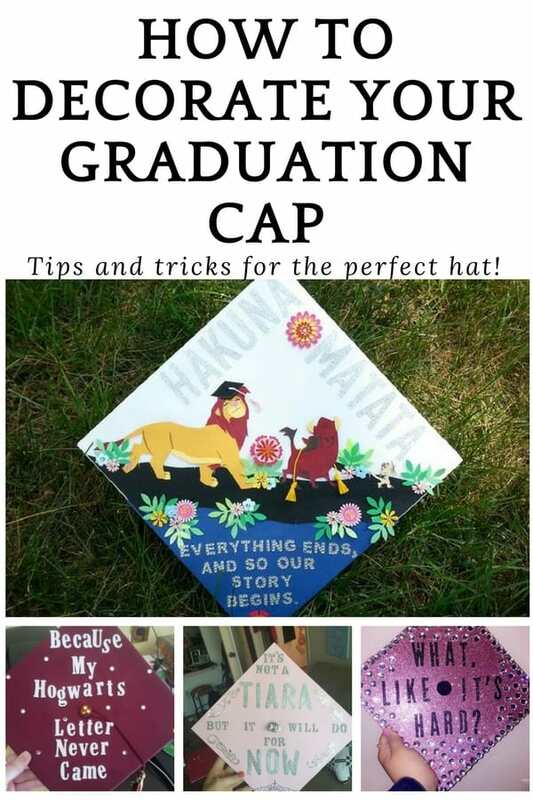 If you need some inspiration for a creative graduation cap, check out our post on Clever Graduation Caps Ideas or 30 Magical Disney Graduation Caps. If you’re searching for the easiest way to get your perfect graduation cap, scroll down below to see our trick! If you want to change the background color of the top of your hat, start by carefully measuring and cutting out your background sheet. Do this by tracing the cap and cutting the paper using an exacto knife or scissors. Add a hole in the center of your paper where your tassel will go. You can find this location by putting your paper over your graduation cap and finding the raised area and then carefully tracing and cutting. Glue your paper down over the top of your cap. Let dry. Figure out which side of your cap is the top by placing it on your head. The part that’s baggy should go on the back of your neck. Lay out stickers and other decorations on your cap. Use a ruler to help with spacing and ensure that everything is even, if necessary. Glue stickers and the other decorations to your cap. Let dry. Voila! Your graduation cap is finished! More of a visual person? Here’s some great, short videos to help you make your decorate your cap! By buying your graduation cap, you’ll have a gorgeous cap that looks perfect with minimal effort!